It is December 31st?? SNOW WAY! Get it, snow way? Okay, enough with the jokes. I hope each one of you had a blessed Christmas. My holidays consisted of housesitting but the neighborhood I stayed at rang in Christmas Eve like no other. Around 4pm they began to line the street with paper bags. 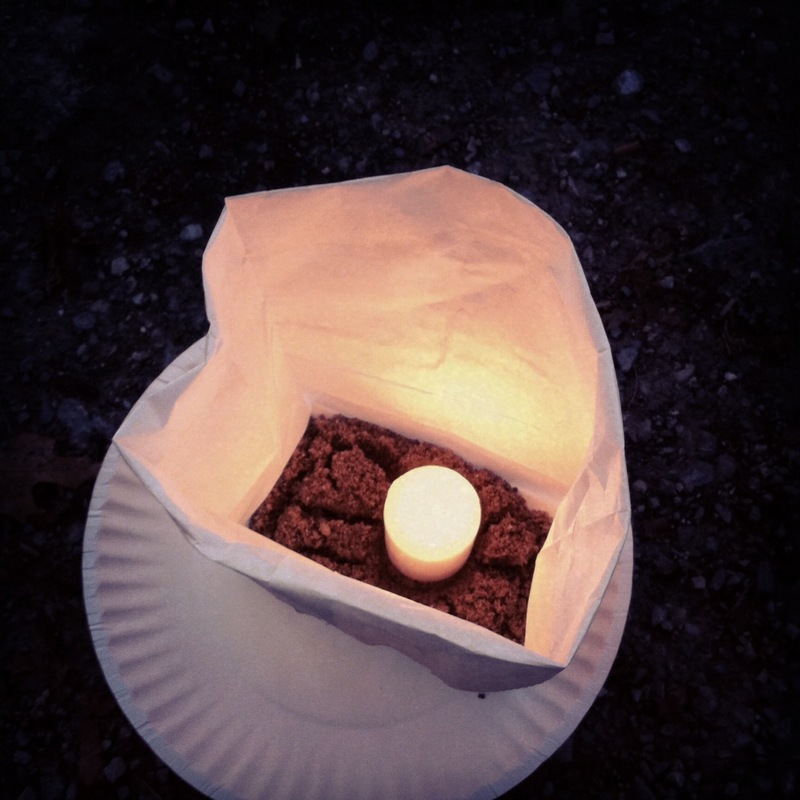 By the time the sun went down every street was lined with luminaries. It was stunning. I woke up on Christmas morning and discovered that Santa may actually be real. 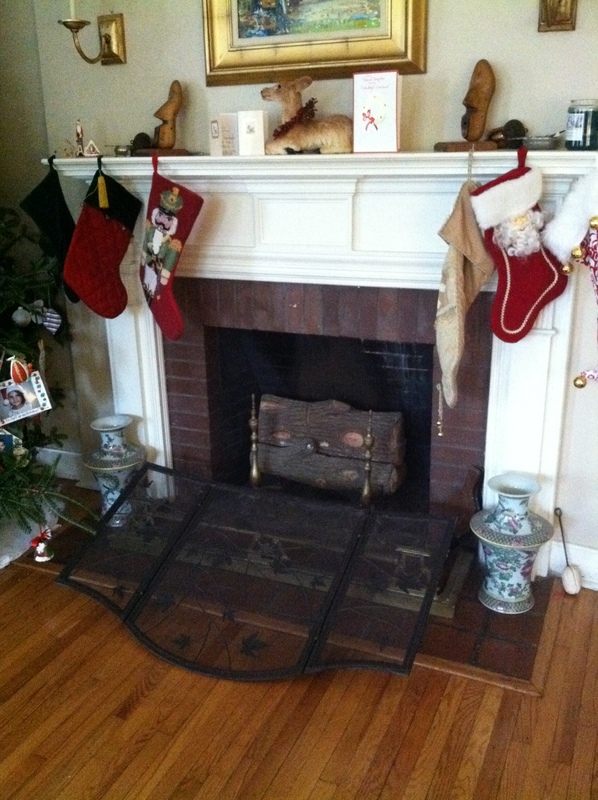 I present Exhibit A.
Woke up to find the fireplace guard knocked over. Sneaky old man. AL and myself have been getting in lots of twin time before I go back to school and she moves to DISNEY! You heard right, folks. AL got an internship with DISNEYWORLD!!! That means she will be gone from January until August. Fingers crossed that she accepts it, but living on the most magical place on earth would definitely be the bomb dot com for any princess. 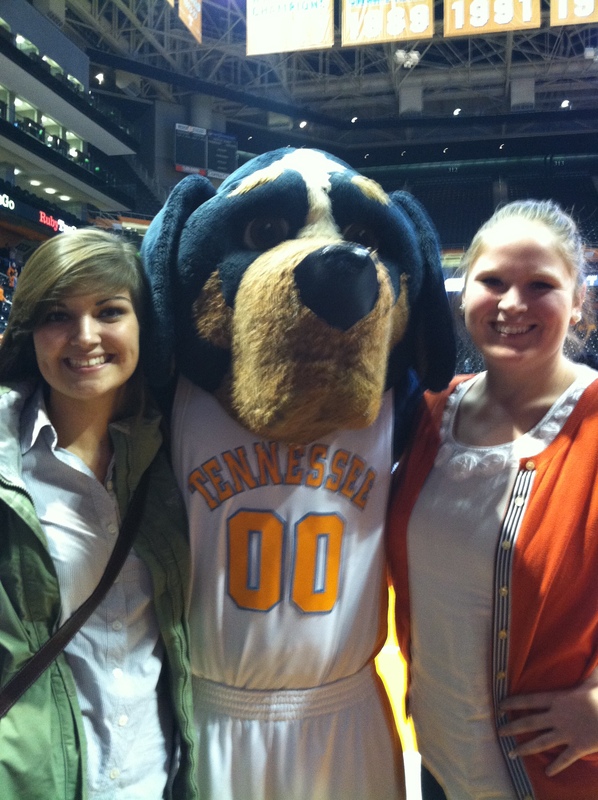 The other night we went to a Lady Vols game and FINALLY got our photo made with our beloved mascot. In the past week, AL and I have sweat more than we have all month. We’ve made multiple trips to the gym and have woke up sore everyday for a week. Brutal. I secretly think she may want to race one day after seeing how fun the Leftover run was. Our eating habits are going great and after working out we always go to Subway. So stereotypical. Since our legs, glutes, thighs, abs, arms, chest, and every other muscle in our body simply told us to take a day off yesterday, we hit the tennis courts. It is soooo much harder than it looks, but there were a few times in which we actually hit it back and forth more than two times. We got our sweat on just by chasing loose balls. 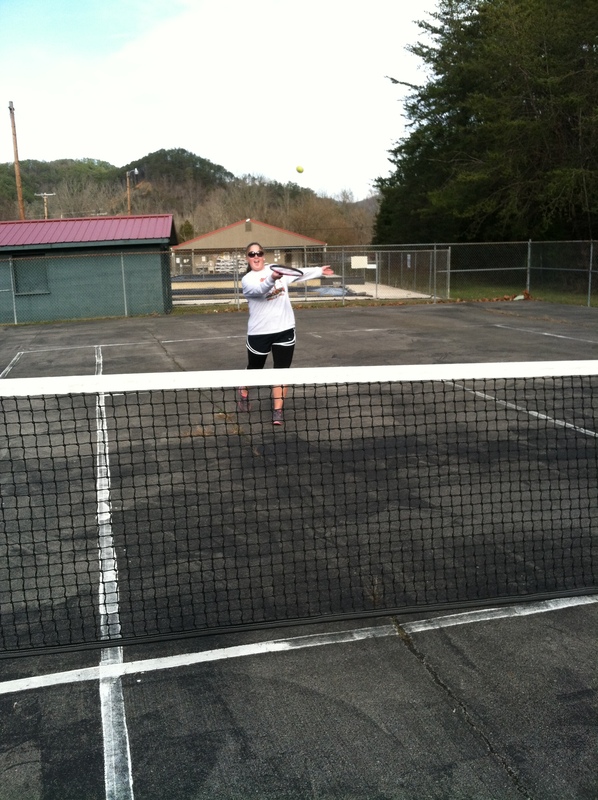 Backhand, forehand, overhand. I'm not up to par on tennis lingo. Tomorrow is New Year’s Day and I’m starting off the day right with a 5k with one of my galpals! Woop woop for 2o12! How was your Christmas? Have you ever been to Disney World? Are you good at tennis or have you ever tried it?? 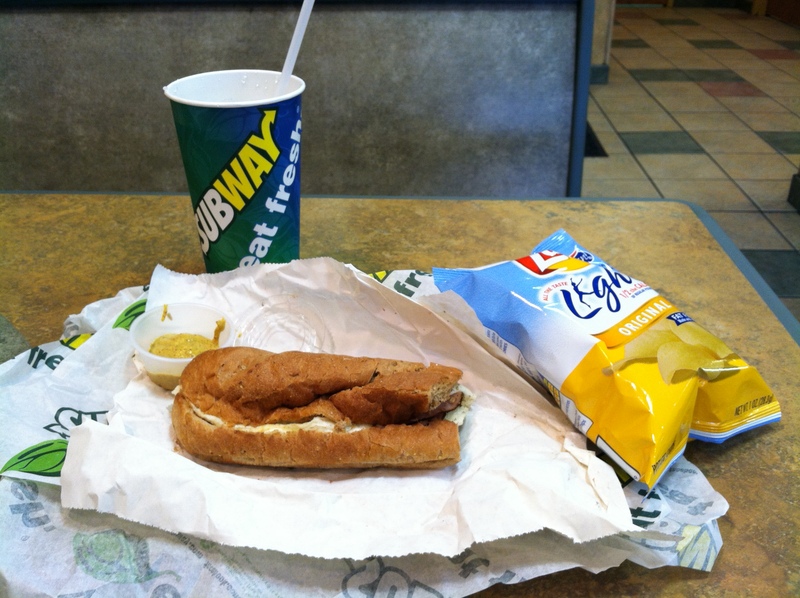 OMG, I have an addiction to Subway, too! It’s bad! And I LOVE DISNEYWORLD!